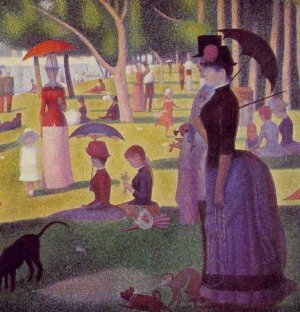 Visit The Artchive to see Sunday Afternoon on the Island of La Grande Jatte. 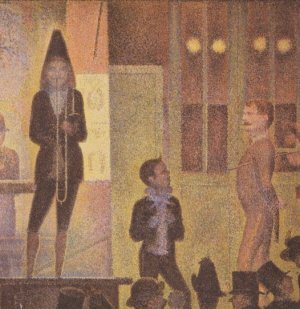 Georges Seurat (sə RAH) was born in Paris and studied art at the Ecole des Beaux Arts when he was eighteen years old. He studied there for two years and then spent some time in the military. He studied Impressionism, but thought he could improve on the methods artists of that time were using. 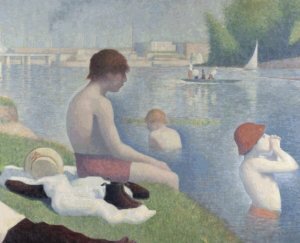 Seurat's Bathers at Asnieres was rejected by the Salon and he joined a group of Independent Artists. This group was composed of Impressionists. After his showing there he became well-known in Paris. 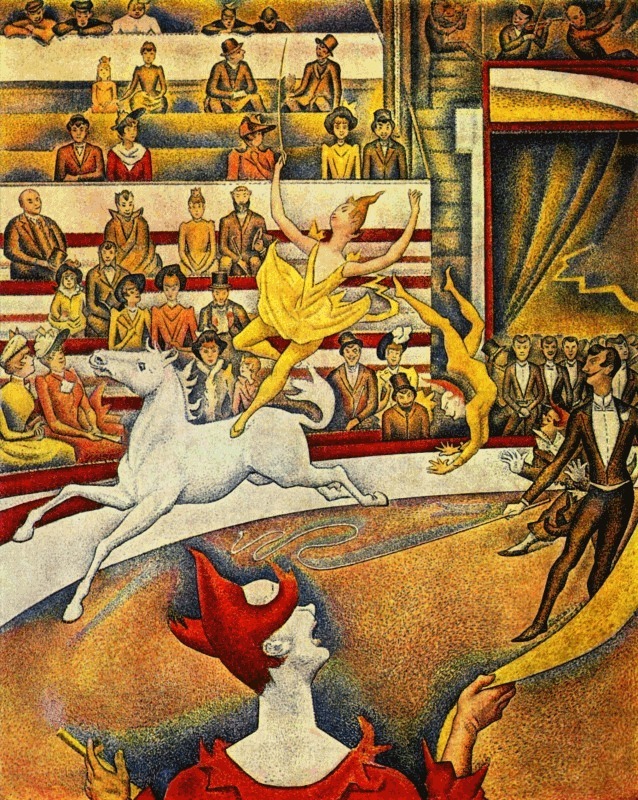 The Circus is made of dots of color using only five colors; red, brown, yellow, blue, and white. 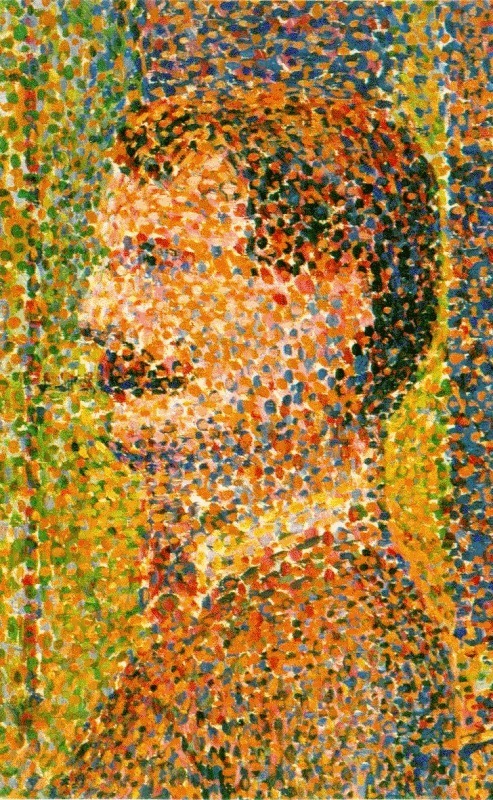 Seurat developed a technique which people called "Pointillism", he called it "Divisionism". 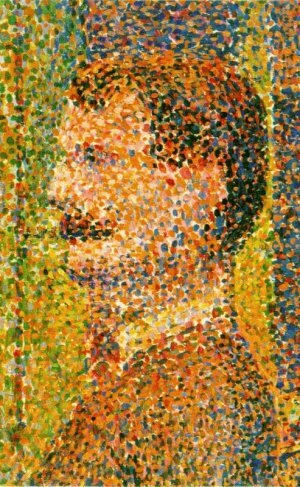 He devised a method of painting which used dots of paint instead of using longer brush strokes to create the picture. If you look at his paintings up closely all you see are dots, but when you move away from the painting, your eyes form the dots into a picture. In some of his later works he began to incorporate a few lines and strokes into his paintings. If you were to look at a picture in a newspaper with a magnifying glass you would only see dots, but when you take away the glass, your eyes make the dots into a picture. In 1881 he visited the island of La Grande Jatte( la grahnd zhot) which inspired many of his future works. 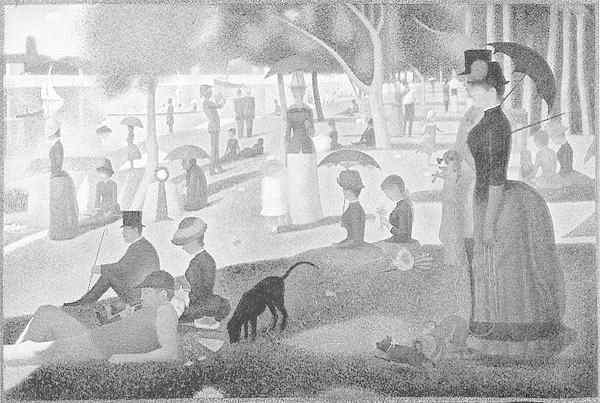 The featured work on this page; Sunday Afternoon on the Island of La Grande Jatte, was a very large painting. Before he started working on it he made more than 200 sketches in preparation for painting it. He visited the island for months sketching the visitors. 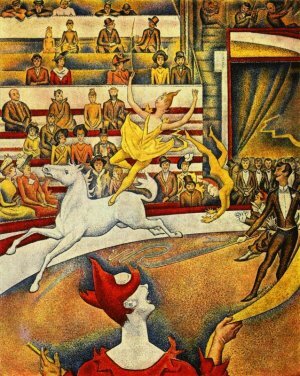 Then he would work on the painting laboriously applying small dots of paint to form the figures. In his lifetime he completed seven very large paintings and about 500 smaller ones. He worked to the point of exhaustion. While he was organizing an exhibit in 1891 he became ill and died. He was only thirty-one years old. He was a very secretive and private person. He had a family, but even his mother didn't know about it until his son Pierre was a year old. 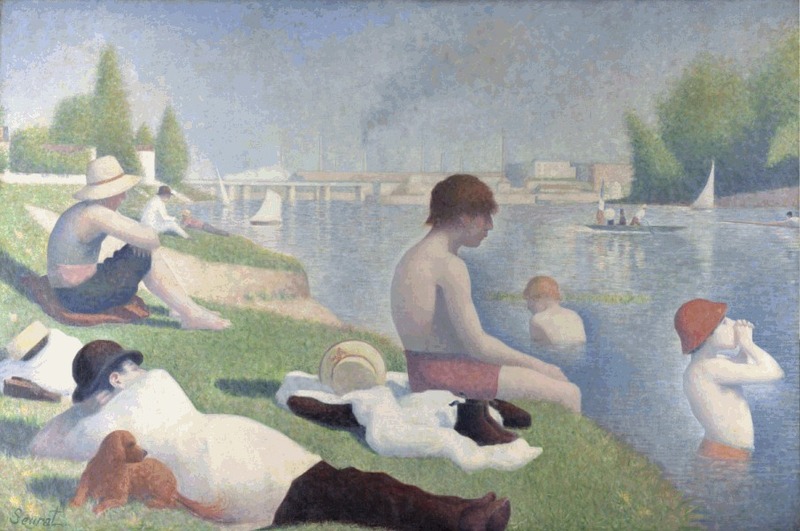 Seurat told her about it and died two days later. 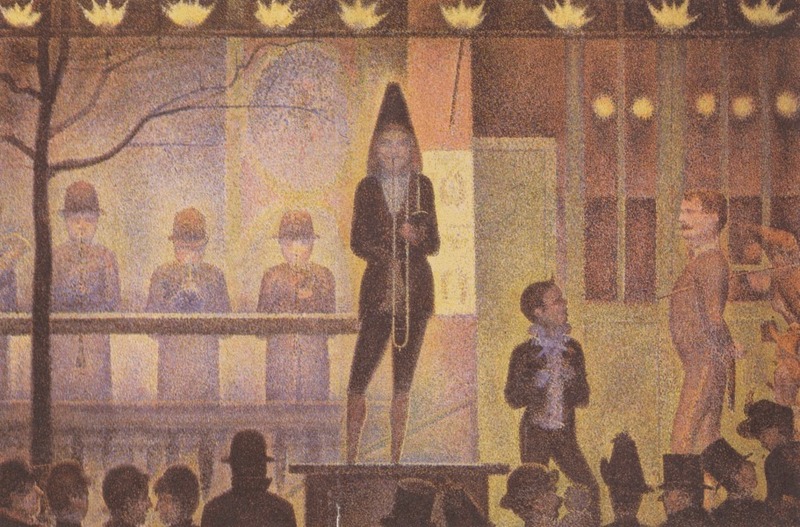 Press "Go" to search for books about Seurat. This page displayed 184,248 times.